i write this as an explanation of my convictions on what i believe in. first of all i do believe in a god. that god has been revealed through out history in every religion; in every philosphy. in every belief system. whatever it be as God, adonai, allah, cerunnos, dagda, odin, shiva, etc. i believe that every god in mythology is an avatar of the divine masculine. and that these gods exist as such as well as being his sons. i believe in the goddess. and she too has been revealed in every religion; in every philosphy, in every belief system. whatever she be as Sophia, mary the virgin, the Shekinah, Wisdom, allat, shaktai, frigga, boann, etc. i believe that every goddess in mythology is an avatar of the divine feminine and these goddesses exist as such and are her daughters. i believe there are angels. they serve as messengers of the divine between the high god/goddess to his/her children the gods and goddesses. i believe in demons or dark entities whom believe that they are outside divine rule. but they are not. for they serve as testers of one’s will and faith in the eyes of the divine. even in their hatred of the light in itself is a form of correction. i believe in the existence of beings that exist between angels and demons. and are in service of the gods and goddesses. but are also their children. these beings are called the fae or djinn. their mother is a goddess one of the feminine divine’s first. she is Lilith. it is said she was the wife of adam qadmon the primodial being father of all. and she is the first eve ;mother of all. however they had other children these were another Adam, Eve, and Lilith. these were the great grand children of the Divine Feminine and Masculine. 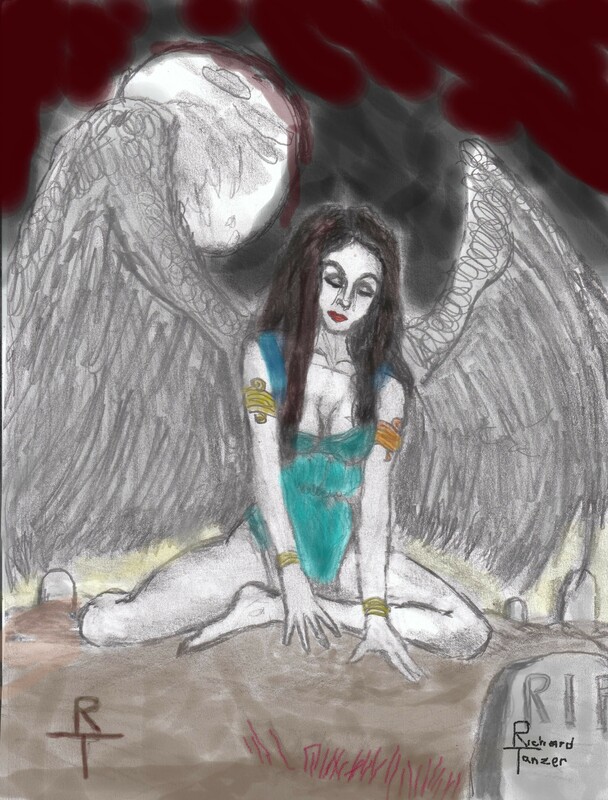 and like her mother the second Lilith became a mother of newer group of fae and djinn. this is my belief. and although this is what i believe in. it is always changing as i learn something new. i know that not everyone will share this belief. and i’m certain that they will have strong evidence. to backup their beliefs. i’m always open to new ideas, to new inspirations, to new insights that help my beliefs to grow. for the one thing that the divine asks of us is to love. and be tolerant of others. and always be open minded while staying true to our based convictions. namaste!